I walk past the Chinese embassy on the way to to work and it is always guarded by 4 or 5 permanently stationed police officers. 1. Protesters lined up in an orderly manner with a number of police officers beside them on a side street so they would not disrupt traffic. One police officer had a flag. To be that well organized, they must have called ahead as there were police everywhere. 2. At the appointed moment the “protesters” march in single file to an appointed spot. 3. Protesters unfurl their banner, with one of the ends dropping and a police officer rushing to help the protester and get the banner properly displayed. 4. Protesters line up behind the fence and banner with lead protester reading out some statements and stopping for the other protestors to raise their fists in unison and yell something. Repeat. 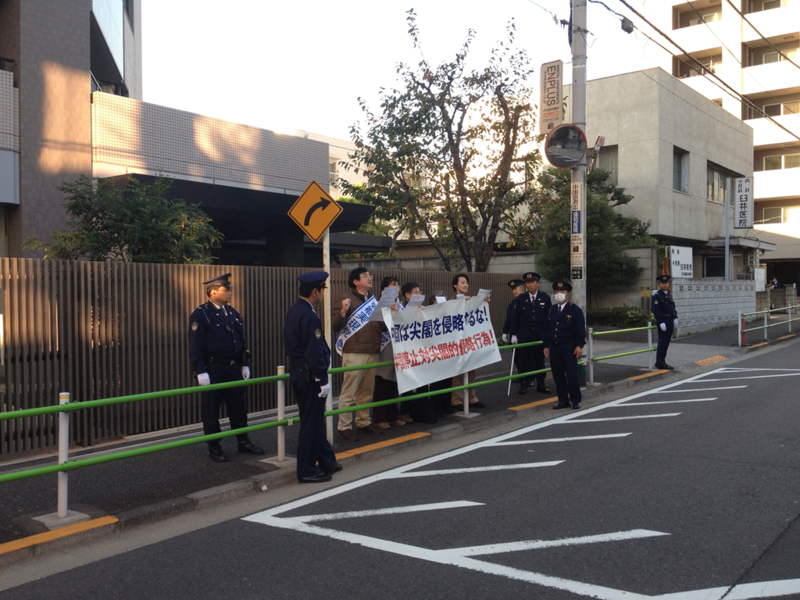 I wish I would have had my camera … and count the police to protestor ratio (smile). There were another 10 police officers on the other side of the street. 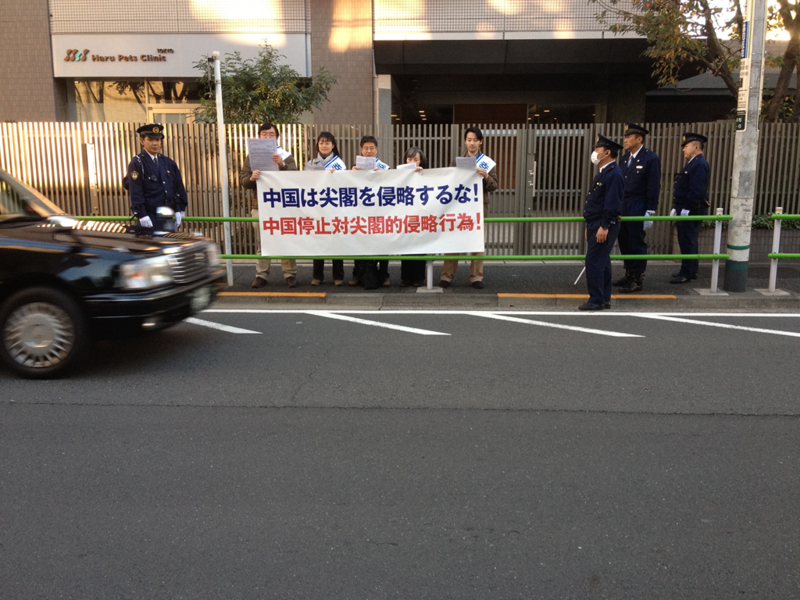 This entry was posted in Our Asia Adventure and tagged Chinese Embassy, Japan, Police, Protests, Tokyo by michaelweening. Bookmark the permalink.